In the evening before the Spring Festival, locals in Kunming will use citrons as offerings to worship their ancestors and Buddha. Only after the worship can the Spring Festival reunion dinner begin. 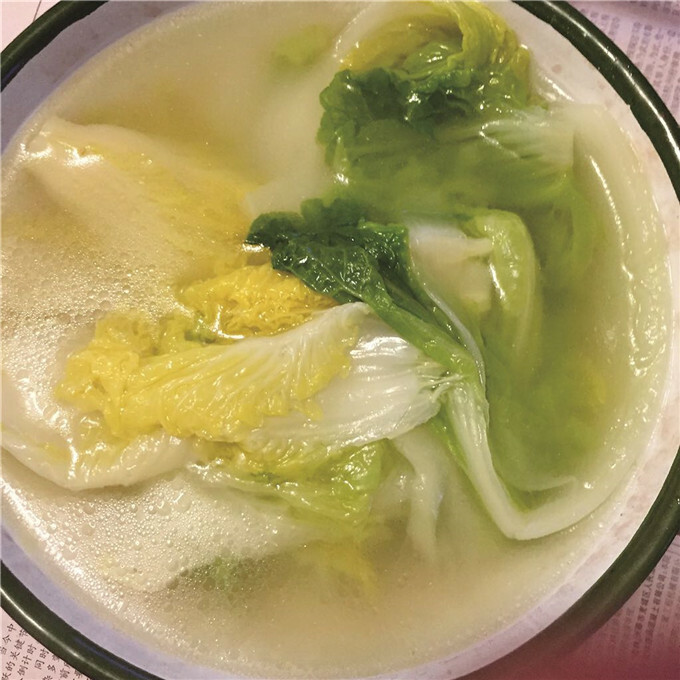 Guan Qiaoming, a senior local of Kunming, told us that Changcai (“vegetables with long leaves”) was one of the most essential dish of the traditional Kunming reunion dinner. “When Spring Festival was around the corner, my mother would prepare different kinds of dishes. Kids were delighted because dinner was the most bounteous meal in a year,” said Guan Qiaoming. Changcai connotes abundance and permanence. Its ingredients include garlic bolt, green vegetables and so on, cannot be cut up into pieces and shall be maintained as a whole. The whole Chinese cabbages and radishes are cooked together. Radishes are chopped into the shape of coins, implying “good luck”. The long Chinese cabbages signify “longevity and affluence”. The dish Qingsuan (“fried meat with garlic sprouts”) implies the clearance of the past year. All in all, whether the dishes are chosen or not depending on the positive meanings of their names. 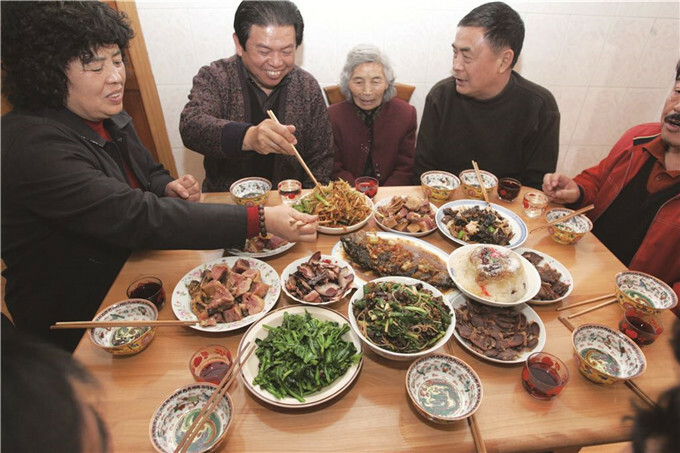 “One dish I love most among the reunion dinner is crispy fried meat,” said Guan. In the past, Kunming people butchered pigs days ahead of the Spring Festival, they usually kept some of the fresh meat. In order to preserve the meat, they coated it in the flour and eggs and fried it. After Spring Festival, they stew the crispy meat with various vegetables. This is another delicacy which stayed in locals’ memory. The fat of the pig is also in use. 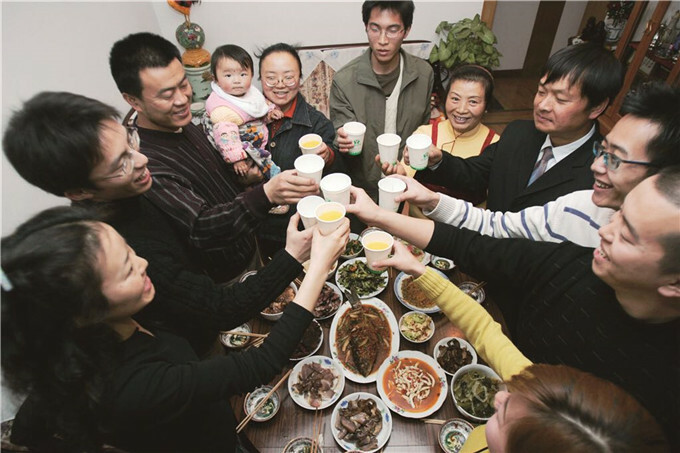 Many families will make deep-fried sweet pork fat. The dish is yummy and not greasy at all. Kunming people are also fastidious about chicken served during Spring Festival reunion dinner. After it is cooked, the chicken shall be maintained in a whole. And its skin shall not be broken. What’s more, the chicken’s beak should be fastened by a string.